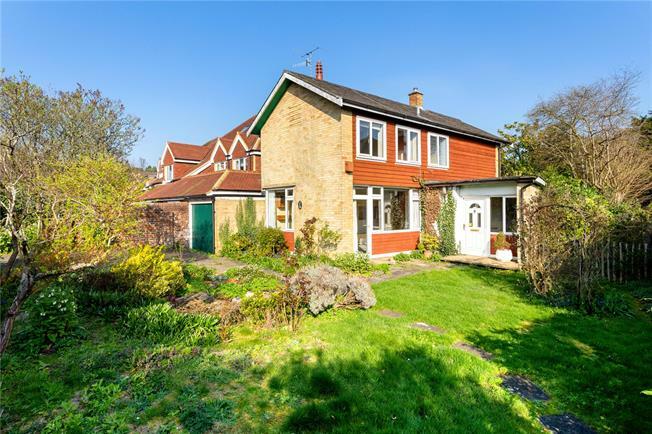 2 Bedroom Detached House For Sale in Reigate for Asking Price £580,000. Having been owned for decades by the current owner, the property is now available for potential buyers to take advantage of the opportunity to create a stunning family home. The accommodation comprises; entrance hallway with cloakroom, a lounge/dining room with stairs rising to the first floor and a kitchen/breakfast room overlooking the rear garden. To the first floor there are two double bedrooms and a family bathroom. The property sits back from the road by a private driveway with off road parking for two cars and provides access to the attached garage which benefits from a remote controlled door. The gardens are mainly laid to lawn with numerous shrubs and trees with a paved patio area to the rear of the house. The gardens are enclosed with the added benefit of a timber built shed and pond.